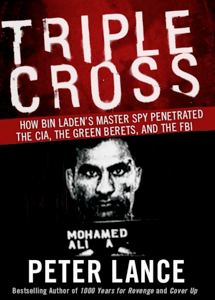 What follows is the most complete telling of the Able Danger story in print form: chapters from Peter Lance’s 2006 book (updated in 2009) TRIPLE CROSS: How bin Laden’s Master Spy Penetrated the CIA, the Green Berets and the FBI. For the first time, the book presents an explanation for why the Pentagon ordered destroyed 2.5 terabytes of al Qaeda related intelligence gathered by the Able Danger data miners. If Ali Mohamed was Osama bin Laden’s operational spy, a man who combined the double threats of intelligence officer and on-the-ground commando, one of the soldiers who embodied that same skill set for America was a Bronze Star winner named Anthony Shaffer. Commissioned as an officer in the Ohio National Guard in 1983, Shaffer was selected early in his career to train at “the Farm,” the CIA’s legendary school for clandestine operatives at Camp Perry, Virginia. Over twenty-four years in the military, Tony Shaffer worked a series of active duty secret ops and task force assignments, alternating between roles as an intelligence officer with the Pentagon’s J2 Directorate and as a clandestine operative with the J3. 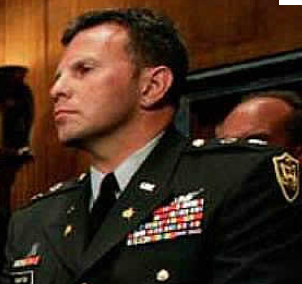 In September 1999, now a major, Tony Shaffer was running a top secret operation called Stratus Ivy, supporting various DOD “black” operations, when he was assigned to brief four-star general Pete Schoomaker, then head of SOCOM. “With my unit’s permission,” says Shaffer, “I was able to brief General Schoomaker at a level that was beyond Top Secret. After the briefing he said to me, ‘I need you for a special project.’ He looked over at the STO Chief, the head of Special Technical Operations, and said, ‘I want Shaffer read into the project ASAP.’ The next day I was read into Able Danger.’” In the months that followed, Tony would serve as a liaison between the Defense Intelligence Agency (DIA), the Army and SOCOM. Over the decades, among the thousands of code names chosen by the Pentagon to describe secret and open source military operations, the prefix “Able” had traditionally been used in conjunction with NATO and nuclear weapons-related exercises. The fact that it was now being affixed to a secret operation relating to terrorism, suggests how seriously the army and the DIA took the al Qaeda threat. Shaffer says that Able Danger was “the military version of Alec Station,” the CIA’s unit tasked with collecting al Qaeda-related intelligence. The operation’s data-mining center was located at the Land Information Warfare Activity (LIWA) at Fort Belvoir, Virginia. Known as “spook central,” Fort Belvoir housed the Information Dominance Center—a building full of army intelligence “geeks,” whose bullpen area was designed to look like the bridge of the Starship Enterprise from Star Trek. The lead LIWA analyst running the data mine was Dr. Eileen Priesser, a double Ph.D. The operations officer was a decorated U.S. Navy captain named Scott Phillpott. Army Major Eric Kleinsmith was LIWA’s intelligence chief. J.D. 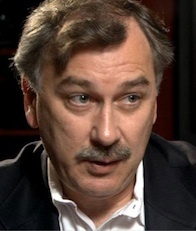 Smith and Jacob L. Boesen, working as a contract analysts from Orion Scientific, designed many of the link charts in which the “deep data points” connecting the key al Qaeda players were represented graphically. Told to “Start with the words ‘Al Qaeda’ and go,” the LIWA data crunchers began an initial harvest in December 1999. The data grew fast and exponentially, and before long it amounted to two terabytes—equal to about 9 percent of the books in the Library of Congress. “It was a mile wide and an inch deep,” says Kleinsmith. “Naturally only a small percentage of the data related to terrorism,” says Tony, “So we would have to neck it down —cull it — until we had some substantive hits.” Within months, Operation Able Danger had uncovered some astonishing intelligence. Examining Sheikh Rahman’s Brooklyn cell—which operated out of Ali Mohamed’s old stomping grounds, the al Farooq mosque—the LIWA analysts made another alarming discovery. “We identified lead 9/11 hijacker Mohammed Atta, Marwan al-Shehhi, who flew UA 175 into the South Tower of the Trade Center, and two of the muscle hijackers aboard AA 77, which hit the Pentagon,” says Shaffer. That linkage was made months before any of the other Big Five intelligence agencies would trip to their presence. 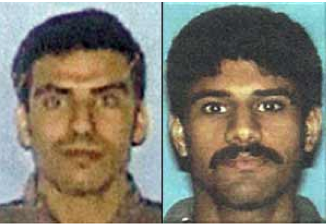 Coming as it did in early 2000, the identification of Khalid al-Midhar and Nawaf al-Hazmi was a crucial find for the SOCOM operation. Of all the 9/11 hijackers, these two Saudis had the longest records of al Qaeda involvement, and beginning in January 2000, they soon became the most visible of the 19 operatives. In fact, the two failed pilots appeared on the radar of the NSA, the CIA, and the FBI so many times in the eighteen months before 9/11 that the U.S. intelligence community had multiple opportunities to thwart the plot. Al-Midhar and Al-Hazmi were the poster boys who came to symbolize the “stovepiping” between U.S. agencies in their failure to share intelligence before 9/11. But even if the FBI had received no help from any other agency, we’ve uncovered compelling evidence that the agents of Squad I-49 (the bin Laden Squad in the FBI’s New York Office) should have tripped to the presence of the two hijackers in the U.S. months before they flew AA Flight 77 into the Pentagon. 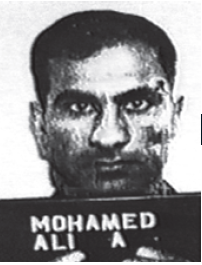 After his capture following the Embassy bombings in 1998, Mohamed Rashed Daoud al-’Owali, the Saudi who drove the truck, gave FBI agents the number of a safe house in Sana’a Yemen maintained by Sameer Mohammed Ahmed al-Hada, the brother-in-law of Khalid al-Midhar. The house was being used as an al Qaeda “logistics center” or “switchboard” in much the same way Khalid Dahab (Ali Mohamed’s protegé) had used his one-room apartment in Santa Clara, California—to patch through phone calls from bin Laden operatives worldwide. In fact, it was later revealed that the Saudi billionaire himself called the Yemen house multiple times between 1996 and 1998. As a result, the NSA and the CIA planted bugs inside the house, installed phone taps, and even went so far as to monitor visitors coming in and out of the dwelling using spy satellites. “The NSA and the Agency were monitoring it for two years,” says Cloonan. When al-Midhar left the Yemeni safe house in early 2000, agents from eight CIA offices and six allied intelligence services were reportedly asked to track him. Officials in the United Arab Emirates even made copies of al-Midhar’s passport when he traveled through Dubai, so that by the time he reached Kuala Lumpur, the CIA knew his full name and the fact that he was carrying a U.S. multiple entry visa. By January 4th, a CIA operative made an extraordinary mistake that ignited one of the great interagency disputes on the road to 9/11. After receiving a copy of al-Midhar’s picture, the Agency failed to add him to the Watch List. Worse yet, deliberate steps were taken to prevent the FBI from getting the information. Later, the FBI would claim that their agents weren’t informed of al-Midhar’s al Qaeda ties until he was back in the U.S. and within weeks of boarding AA Flight 77. But back in January 2000, while the Malaysian meeting was still in progress, a CIA officer assigned to the FBI’s Strategic Information Operations Center (SIOC) at the Bureau’s Washington headquarters reportedly briefed two separate FBI agents on al-Midhar’s activities. The fact that a key CIA representative at the FBI felt that nothing observed at the Malaysian summit suggested “evidence of an impending attack” is stunning when one considers who was in attendance at the three-day session, which took place at a condominium overlooking a Jack Nicklaus-designed golf course. The condo was owned by Yazid Sufaat, a Malaysian who traveled to Afghanistan in the summer of 2000 and later acknowledged his al Qaeda ties. Participants in the January 2000 Malaysian meeting, in person or by phone.Top (left to right) Nawaf Al-Hazmi, Khalid Al-Midhar, Khalid Shaikh Mohammed, Khallad bin Atash. Bottom (left to right) Riduan Isamuddin (aka Hambali) Yazid Sufaat, Ramzi bin al-Shibh, Fahad al-Quso. Details of the Malaysian terror summit have been a matter of public record for some time, but of the eight attendees initially reported, the one most disputed by scholars and reporters is Khalid Shaikh Mohammed, who by then, was in the late stages of perfecting his nephew Ramzi Yousef’s planes operation. A number of mainstream media accounts, from CNN to the Los Angeles Times, initially put KSM at the summit. Singapore-based terror expert Ronan Gunarata later testified before the 9/11 Commission that he had seen interrogation reports in which KSM admitted running the summit, and in a 2003 study of radical Islam in Southeast Asia,Dr. Zachary Abuza, a U.S. terrorism scholar, reported that KSM was at the conference. In any case, KSM’s number-two in the planes-as-missiles plot, Ramzi bin al-Shibh, was there, along with Khallad bin Atash, a senior al Qaeda operative who played a key role in executing the African Embassy bombings. Atash, who lost a leg reportedly fighting in Afghanistan and now wore a metal prosthesis, would go on to mastermind the attack on the U.S.S. Cole later in 2000. One of his operatives from the Cole plot, Fahad al-Quso, was also present at the K.L. summit, along with Riduan Ismuddin, a.k.a. Hambali, the head of Jemaah Islamiya, the Indonesian wing of al Qaeda. It was Hambali who served with his wife on the board of Konsonjaya, the Malaysian front company that funded the Yousef-KSM Manila cell where the 9/11 plot was born. “Arguably it was like the Commission meeting,” ex-FBI agent Jack Cloonan concurs. At the request of the CIA, the three-day meeting at Sufaat’s condo was even photographed and videotaped by the Malaysian intelligence service, known as the Special Branch. Attended by a who’s-who of top al Qaeda operational killers, that meeting set the stage for not only the Cole bombing and the 9/11 attacks, but also the October 2002 Bali bombings, to which Hambali was later linked. Even if KSM wasn’t there physically, the presence of his deputy bin al-Shibh, Hambali, and Khallad bin Atash should have set off flashing red lights throughout the U.S. intelligence community—especially at the CIA and the FBI, which was now investigating the African embassy bombings ex post facto. We now know, from the testimony during the March 2006 penalty phase at the trial of accused “twentieth hijacker” Zacarias Moussaoui, that the one-legged Khallad was also an operational leader of the embassy bombing plot. After his capture, Mohamed Rashed Daoud al-’Owali admitted that before the August 1998 bombing he was instructed to go to Pakistan. There he met bin Atash, who told him to prepare for a “martyrdom mission” in which he would drive a truck full of explosives into a target. But whose fault was it that the line wasn’t drawn? In his account Wright puts most of the blame on the CIA, but clearly in its investigation of the African Embassy bombings and what we now know to be their state of awareness of the importance of al-Midhar and that Sana’a (al Hada) safehouse, Squad I-49 of the FBI’s NYO ought to be held equally accountable for not connecting the dots. Remember, by now, after keeping his name secret for two years, the FBI was pressing a worldwide manhunt for Khalid Shaikh Mohammed. The FBI had lost him twice, once at the Su Casa Guesthouse in Islamabad the day Yousef was busted in February 1995, and then in 1996 after Greg Scarpa Jr.’s patch-through at the M.C.C. had led the Feds to Doha, Qatar. But by 1999 KSM was in close contact with lead hijacker Mohammed Atta and two of the other 9/11 pilots: Marwan al-Shehhi (identified by the Able Danger operation) and Ziad Jarrah, who went on to commandeer the cockpit of UA Flight 93 that crashed in Pennsylvania. They were all living in an apartment together at 54 Marienstrasse in Hamburg, Germany with KSM’s number two Ramzi bin al-Shibh. Described by the 9/11 Commission as the Hamburg “core group,” Atta, bin al-Shibh, al-Shehhi, and Jarrah met with bin Laden and Mohamed Atef in Afghanistan in late 1999, and two of them (bin al-Shibh and Atta) linked up with KSM in Karachi within weeks of the Kuala Lumpur summit. One of Stone’s key sources was none other than retired FBI agent Jack Cloonan. When I interviewed Cloonan, who learned the details of the meeting immediately after it ended, he got much more specific, noting that Steve Bongardt, a veteran of the FBI’s TWA 800 investigation, had attended the meeting along with two other FBI agents. But in our extensive interview on May 4, 2006, Cloonan gave me a stunning new piece of information that puts the alleged failure of the CIA to share the intelligence on the K.L. meeting in a whole new light. As it turns out, one of the key FBI agents in the FBI’s squad I-49 had seen some of the Malaysian summit pictures months before. But as Cloonan described it, “Frank doesn’t know. He’s working Khalid Shaikh Mohammed,” and thus would not have recognized any of the faces. When I suggested that Khalid Shaikh Mohammed may have been at the summit, Cloonan denied it, but then admitted that he wasn’t sure. Still, keep in mind—even if KSM, the man the FBI calls the 9/11 “mastermind,” did not attend this key planning session prior to the attacks, there was another significant al Qaeda face in the crowd that Pellegrino should have recognized immediately: Riduan Isamuddin, a.k.a. Hambali. Pellegrino had arrived in Manila within weeks of the fire in the Yousef-KSM bomb factory on January 6th, 1995. He was present at Camp Crame for most of Col. Mendoza’s interrogation of Abdul Hakim Murad, Yousef’s oldest friend, a pilot trained in 4 U.S. flight schools, who was to be the lead pilot in “the planes operation.” Mendoza and the PNP had documented Hambali’s importance as a key member of the al Qaeda cutout Konsonjaya. How was it possible that Pellegrino, a a top FBI agent who was now in Patrick Fitzgerald’s elite squad I-49 couldn’t connect the dots on Hambali, even after seeing the photographs of the KL summit from the CIA? I wanted to ask Pellegrino that question, but he too refused to talk to me. In any case, one lesson that the FBI should have learned from the Malaysian summit was just how well coordinated al Qaeda was. Far from the “loosely organized group” of Sunni Muslims somehow disconnected from the World Trade Center bombing, as Patrick Fitzgerald suggested in 2005, al Qaeda was a tightly integrated network with directions coming from the top down directly via bin Laden and Dr. al-Zawahiri. It was an international network capable of staging a summit conference, with operatives from half a dozen countries working together to plan acts of terror on three continents. In its data-mining initiative, the Able Danger team at Fort Belvoir was making that same kind of connection with many of the same players. Eventually they would identify Aden Yemen as a key al Qaeda “hotspot” within days of the Cole bombing. In harvesting what eventually grew to 2.5 terabytes of data, they found linkages that corroborated my findings precisely: namely, that the New York cell of Sheikh Omar Abdel Rahman, trained by Ali Mohamed, was directly tied to al Qaeda’s leadership. The Able Danger findings corroborated what I had laid out in my last two books: that both attacks on the WTC, the 1993 bombing and the September 11 planes-as-missiles operation, were designed, funded, and directly controlled by al Qaeda’s leadership. In fact, the LIWA/DIA data miners went even further—putting Ali Mohamed and bin Laden’s brother-in-law Mohammed-Jamal-Khalifa in the al Qaeda inner circle. How do we know this? The connections were documented in a declassified link chart sent to me by Jacob L. Boesen who worked on many of the Able Danger charts. 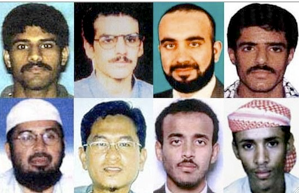 Declassified on March 21, 2000, the chart showed Ali Mohamed (with his photo from the Fort Bragg video) inside a box with bin Laden, Al-Zawahiri, Atef, Wadih El-Hage, and Mohammed Jamal Khalifa. That box linked to the Sheikh Rahman-Ramzi Yousef New York cell via the Egyptian Islamic Jihad and the Abu Sayyaf Group in the Philippines, which also linked to the Yousef-KSM-Murad-Wali Khan Manila cell responsible for the 9/11 attacks. The chart not only vindicates my findings, but defies the conclusion later reached by Fitzgerald and Dietrich Snell, his SDNY colleague (a senior counsel on the 9/11 Commission) who determined the “origin of the plot” and pushed it forward two years to Afghanistan in 1996, removing Yousef from the plot and suggesting that at the time KSM was not even a member of al Qaeda—a conclusion that is almost comical in light of the documented evidence of al Qaeda’s control of the suicide-hijack plot. That March 21, 2000, link chart, reproduced below, is the smoking gun document proving that the government understood both Ramzi Yousef and Ali Mohamed were involved with the multiple acts of mass murder and terror perpetrated by bin Laden’s network, from the killing of Rabbi Meier Kahane in 1990 forward. It’s a graphic representation of the FBI’s failures to contain all that horror, and it confirms my contention that Fitzgerald, Snell, Jamie Gorelick, and other key DOJ officials sought to hide the full truth behind the Justice Department’s failures from the American public. A link chart designed by Jacob L. Boesen, a contract employee of Orion Scientific who designed most of the Able Danger Link Charts. This one, dated March 21st, 2000, just a few weeks before the Able Danger data was destroyed, shows Ali Mohammed in the inner circle with Osama bin Laden in a photo taken from a Fort Bragg training video. “The Ali Mohamed link chart opens a whole new series of questions that have to be answered,” said former Congressman Curt Weldon (R-PA) one of the original backers of the LIWA unit at Fort Belvoir, and the man who first disclosed the story of the Able Danger operation to The New York Times in August, 2005. Vice chairman of both the House Armed Services and the Homeland Security committees, Weldon said he was “blown away” by the data-mining capabilities of the Information Dominance Center as early as 1997, when he tapped the LIWA analysts for intelligence in preparation for a meeting in Vienna. At the height of the conflict in the former Yugoslavia, Weldon had heard that a certain Serb named Dragomir Kric had a back-channel to Serbian dictator Slobodan Milosevic, who was then holding three U.S. pilots as POWs in Belgrade. Weldon was about to chair a congressional delegation (CODEL) of Democrats and Republicans who would fly to Austria and meet with Russian leaders to try and broker a way out of the crisis. Weldon says that after he returned from meeting the Russians he got phone calls from both the FBI and the CIA. So many members of his congressional delegation had raved about the LIWA report on Kric that the Agency and the Bureau both asked where he was getting his intelligence. Years later, when he heard that LIWA had been enlisted by the Special Operations Command to harvest intelligence on al Qaeda—and that they’d made the startling links to the blind Sheikh and the four 9/11 hijackers—Weldon said he wasn’t surprised. “This was intelligence that the Able Danger operation got in early 2000 that absolutely, if properly acted upon, could have stopped the 9/11 plot cold,” he insisted. Maj. Eric Kleinsmith, the former chief of intelligence at LIWA, seemed to agree. “We were able to collect an immense amount of data for analysis that allowed us to map al Qaeda as a worldwide threat with a surprisingly significant presence within the United States.” he said at a 2005 Senate hearing. But by April 2000, Kleinsmith and other LIWA personnel on the Able Danger project were told by DOD lawyers that this vast amount of open source data may have violated Executive Order 12333, an intelligence directive signed in 1981 by President Ronald Reagan after the Senate and House hearings into CIA domestic spying abuses in the 1970s. “The EO,” as it’s known, was designed to prevent the Pentagon from storing data indefinitely on “U.S. persons,” a term defined to include American citizens, U.S. corporations; even permanent resident aliens. It’s not particularly surprising that the Able Danger data sweep of open-source information would have picked up the soon-to-be muscle hijackers al-Midhar and al-Hazmi. Their visibility in the U.S. was so high in the eighteen months prior to their airborne assault on the Pentagon that the FBI’s failure to detect them seems to border on gross negligence—even with the CIA’s refusal to share the intel. As early as 1999, while monitoring phone calls at the Sana’a Yemen safe house, the NSA picked up references to Khalid al-Midhar, Nawaf al-Hazmi and his brother Salem, who would also become one of the suicide hijackers on 9/11. The FBI knew about that safe house. In fact, the location was the result of a lead uncovered by their own criminal investigation of the Embassy bombings. And yet the Bureau seemed in no hurry to establish their own wiretaps on the Sana’a residence or to insist on copies of NSA or CIA intercepts—cooperation one would expect the FBI to demand in the investigation of 224 murders in East Africa. That wiretap of the home of Khalid al-Midhar’s brother-in-law led the CIA to monitor the summit in Kuala Lumpur, but even before that there is evidence that al-Midhar and al-Hazmi had entered the U.S. In a Pulitzer Prize-winning story for the Washington Post in late September 2001, Amy Goldstein reported that the two hijackers actually showed up at the Parkwood Apartments, a townhouse complex in San Diego, in late 1999. This San Diego connection would prove key, because after the two hijackers returned to the U.S. and slipped past a Watch List in January 2000, they ended up living in rooms rented to them by a San Diego FBI informant. Tracked to the K.L. summit, al-Midhar’s passport was copied in Dubai and sent to the CIA’s Alec Station (where the FBI had an agent in residence). He was later photographed at the K.L. summit by the Malaysian Special Branch. On January 8th, when the conference ended, al-Midhar flew with al-Hazmi to Bangkok, Thailand—both of them using their own names on the flight manifests. Sitting next to them in a three-seat configuration was Khallad bin Atash, the one-legged Saudi who had sent al-‘Owali to his intended death in Nairobi. Atash had recently attempted to blow up the Aegis-class guided missile destroyer, the U.S.S. The Sullivans – a failed al Qaeda action that was a precursor to the Cole bombing. At that point, the FBI was doing a full-court press on the Embassy bombing investigation. Al-‘Owali’s tip on the Sana’a safehouse had led to the discovery of bin Atash by the Malaysians. The fact that Special Agent Frank Pellegrino of Squad I-49 had seen pictures of the K.L. summit meant that the Bureau was in the loop. And yet following the January 8th flight, both the FBI and the CIA reportedly lost all three terrorists in the Thai capital. Worse, despite having identified al-Midhar as an al Qaeda associate, and realizing that he had a U.S. multi-entry visa, the CIA never added his name to the TIPOFF watch list of some 70,000 suspected terrorists. As such, using their own names, al-Midhar and al-Hazmi jetted from Bangkok to Los Angeles on January 15th. There they were met by Omar al-Bayoumi a Saudi , suspected of being an intelligence officer, who had visited the Saudi consulate in L.A. the same day. After three weeks the two would-be hijackers moved to San Diego, where they lived openly for the next five months. During that period al-Bayoumi helped them get settled, finding them an apartment across from where he lived. During their early months in San Diego, Al-Midhar and al-Hazmi proved to be the antithesis of low-profile sleepers. They took flight lessons at the Sorbi Flying Club, bought season passes to Sea World, played soccer in a local park, and interacted with many members of the Muslim community. Al-Midhar bought a 1998 Toyota Corolla for $3,000 and registered it with the California DMV. After moving into a two-story town home at 6401 Mount Ada Road, Al-Hazmi got a telephone. He even had his full name listed in the phone directory. Throughout the spring and summer of 2000, the National Security Agency, which began monitoring al-Midhar’s brother-in-law’s home in Yemen in 1998, picked up multiple intercepts between San Diego and the safe house. As it turned out, al-Midhar’s wife was about to give birth in the year 2000. But the NSA later claimed that it didn’t know that the calls from al-Midhar originated in the U.S. It wasn’t until after 9/11 that the Feds realized that Ramzi bin al-Shibh, KSM’s number two on the entire planes-as-missiles operation, was al-Midhar’s cousin. On June 3, 2000, lead hijacker Mohammed Atta arrived in the U.S., and rented a room in Brooklyn, New York. He listed the same address in Hamburg, Germany: 54 Marienstrasse, where he’d been living with hijacker-pilots al-Shehhi and Ziad Jarrah. In San Diego, neighbors of al-Midhar and al-Hazmi claimed that Atta and Hani Hanjour, the pilot of AA 77, visited them. There was a report that Hanjour actually roomed with them for a time, but didn’t stay. While hijackers Nawaf al-Hazmi and Khalid al-Midhar live in the house of an FBI asset, Abdussattar Shaykh, the asset continues to have contact with his FBI handler. The handler, Steven Butler, later claims that during the summer Shaykh mentions the names “Nawaf” and “Khalid” in passing and that they are renting rooms from him. On one occasion, Shaykh tells Butler on the phone he cannot talk because Khalid is in the room. Shaykh tells Butler they are good, religious Muslims who are legally in the U.S. to visit and attend school. Butler asks Shaykh for their last names, but Shaykh refuses to provide them. Butler is not told that they are pursuing flight training. Shaykh tells Butler that they are apolitical and have done nothing to arouse suspicion. However, according to the 9/11 Congressional Joint Inquiry, he later admits that al-Hazmi has “contacts with at least four individuals [he] knew were of interest to the FBI and about whom [he] had previously reported to the FBI.” Three of these four people are being actively investigated at the time the hijackers are there. The report mentions Osama Mustafa as one, and Shaykh admits that suspected Saudi agent Omar al-Bayoumi was a friend. The FBI later concludes that Shaykh is not involved in the 9/11 plot, but they have serious doubts about his credibility. After 9/11, when the Congressional Joint Inquiry discovered Shaykh’s identity and issued a subpoena for him to testify, Attorney General John Ashcroft refused to allow his agents to serve it. Sen. Bob Graham, the Democrat who co-chaired the Joint Inquiry, used the term “cover up” to describe the stonewalling by Justice in refusing to disclose the depth of Shaykh’s apparent duplicity. In the summer of 2000, there was another significant opportunity for the U.S. intelligence community to interdict Ramzi Yousef’s suicide-hijacking plot. Although the Able Danger unit’s initial data run was ordered destroyed, the Army’s Special Operations Command set up a follow-up unit. Contracted out to Raytheon’s Intelligence and Information Systems facility at Garland, Texas, several of the key LIWA data miners were brought over to do a new “harvest” of open-source material on al Qaeda. Among them were Dr. Ellen Preisser and Jacob L. “Jay” Boesen, who continued to produce link charts for the operation. Again, this connect wasn’t surprising, since the CIA had earlier tracked Khallad bin Atash, the one-legged Embassy bombing plotter with heavy Yemeni ties. Also, another attendee of the Malaysian summit, Fahad al-Quso, was based in Aden. At this point, Shaffer, the DIA’s liaison to the Able Danger operation, was asked by Special Operations Command to contact the FBI. Shaffer says that three separate meetings with Bureau agents were scheduled between the summer and September 2000. But each meeting was cancelled “on the advice of SOCOM attorneys.” The reason? “SOCOM lawyers would not permit the sharing of the ‘U.S. person’ information regarding terrorists located domestically, due to ‘fear of potential blowback,’ should the FBI do something with the information and something should go wrong.” That’s what Shaffer ultimately reported to a House committee investigating the Able Danger data destruction. Until recently, both Shaffer and ex-Cong. Weldon believed that Pentagon officials had ordered the FBI meetings cancelled for the same reason they gave to explain the destruction of the 2.5 terabytes of data: concern that EO 12333 might have been violated. But in light of my discovery of J.L. 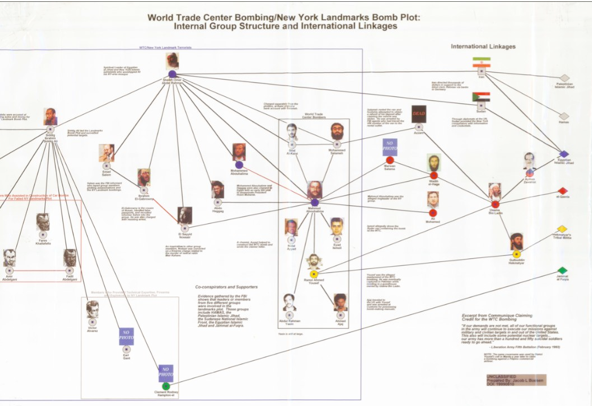 Boesen’s March 21, 2000 link chart showing Ali Mohamed in the al Qaeda inner circle, both Weldon and Shaffer have come to suspect another reason for the data destruction. Weldon, a loyal conservative, came to believe that the suppression of intelligence on al Qaeda was a scandal that transcended political administrations, parties, and agencies. The situation got so bad that at one point Tony Shaffer says he saw a series of link charts from the original LIWA data runs in which “yellow stickies” had been pasted over the pictures of key al Qaeda operatives like Mohammed Atta, on the orders of SOCOM lawyers. Naturally, in assessing the JTTF’s “next to perfect record,” White avoided certain details, such as how the JTTF’s boss, Carson Dunbar, had thwarted the FBI’s best chance of stopping the first attack on the Twin Towers by alienating Emad Salem and failing to authorize the surveillance he pleaded for on two of Ali Mohamed’s trained cell members Abouhalima and Salameh. She left out the fact that her star prosecutor Patrick Fitzgerald and his elite Squad I-49 had advance warning of the African embassy bombings, including wiretaps on the key cell members, and the fact that Ali Mohamed, one of the cell’s ring leaders, had worked as the FBI’s own west coast informant. She skipped over the fact that Special Agent Frank Pellegrino had seen the surveillance photos of the 9/11 Malaysian summit and failed to recognize either Hambali or Khallad bin Atash, who was weeks away from wreaking bin Laden’s next act of “havoc” for the jihad. With the same arrogance Special Agent John Zent had shown in flashing his Bureau I.D. to intimidate those Fresno sheriff’s detectives in 1992, White was trading on the myth—often stoked by the media—that “the best and the brightest” in the FBI’s two bin Laden offices of origin would keep New Yorkers safe from Osama bin Laden’s terror war. There was even a hint of irony in the location of the JTTF’s anniversary party, the same place where Neal Herman’s retirement party had been held on September 11, 1999: the spectacular 50,000 square foot restaurant Windows on the World, located on the top floor of the World Trade Center’s North Tower. As the Feds partied on, bin Laden’s jihadis were working day and night from Afghanistan to San Diego to Brooklyn to bring those Towers down. None of the revelers seemed to remember Ramzi Yousef’s 1993 warning, found on Nidal Ayyad’s computer, that his “calculations were not very accurate” but that the Trade Center would again be a target. Or Murad’s warning to SA Frank Pellegrino that: “Ramzi wanted to return to the U.S.” to attack the Towers a second time. Or even Yousef’s chilling warning during that late night flyby of the WTC in 1995 that the Trade Center might still be vulnerable. Perhaps sensing how persistently U.S. intelligence agencies underestimated their resolve, the terrorists of al Qaeda were very good about telegraphing their moves. Within weeks of that JTTF party, SOCOM lawyers had cancelled Lt. Col. Tony Shaffer’s last chance to share the Able Danger intelligence with the FBI. But while the Pentagon seemed unwilling to have the FBI connect the dots, Osama bin Laden himself was using the world media to call his next play. On September 21st, 2000, he issued another fatwa, this one released to Al Jazeera, the Arabic television network, on videotape. As a hint of al Qaeda’s next flash point, the Saudi terror leader brandished a jewel-encrusted Yemeni dagger. He also reminded the Feds of al Qaeda’s loyalty to the spiritual leader of the New York cell—blind Sheikh Omar Abdel Rahman, whom the Able Danger data-miners had clearly linked to al Qaeda just months before. Bin Laden’s last major fatwa in 1998, the “Jihad against Jews and Crusaders, had been signed by Ayman al-Zawahiri and Abu-Yasir Refai Taha, who had taken over for the jailed blind Sheikh as head of the al Gamma’a Islamiyah. Now, on this tape, bin Laden was flanked by Taha and al-Zawahiri again; and next to them sat Mohammed Abdel Rahman, one of the blind Sheikh’s sons. After a rambling speech, the younger Rahman urged their followers to “avenge your Sheikh” and “go to the spilling of blood.” Then, almost as if to thumb his nose at the New York FBI, bin Laden himself told the faithful to remember El Sayyid Nosair. For those in the Bureau who continued to insist that there was no connection between the two attacks on the Trade Center, this video should have been proof positive that they were wrong. Osama bin Laden was personally invoking the name of the very al Qaeda operative—trained by Ali Mohamed—who had spilled the first al Qaeda blood on U.S. soil with the murder of Rabbi Kahane almost a decade earlier. Yet a number of top U.S. intelligence analysts, including former CIA director James R. Woolsey, continued to insist that Saddam Hussein had been the primary force behind the 1993 World Trade Center attack, and that Ramzi Yousef had been an Iraqi agent. It was a completely specious theory, but one that many in the Bush administration would seize upon to help justify the invasion of Iraq in March 2003. On October 12th, al Qaeda suicide bombers, piloting a small inflatable dinghy, drove it into the side of the U.S.S. Cole, an advanced guided missile destroyer docked for refueling in Aden, Yemen. The blast blew a four-story hole in the ship and killed seventeen U.S. sailors. Eight days after the Cole bombing, Ali Mohamed stood stoop-shouldered before Judge Leonard B. Sand in that Southern District courtroom. 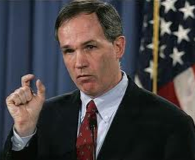 Patrick Fitzgerald stood at his side with four other assistant AUSAs, including Michael Garcia, who convicted Ramzi Yousef for the Bojinka plot, and Andrew McCarthy who had worked with Fitzgerald to put the blind Sheikh away. 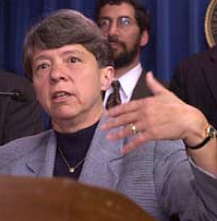 The record does not reflect whether Dietrich Snell, who co-prosecuted the Bojinka case, was also present, but Mary Jo White was on hand, along with Jack Cloonan, who now says that Ali finally confessed to the embassy bombings eighteen months after his arrest in September 1998. Cloonan says that Mohamed then consulted with his lawyer, James Roth. THE COURT: Your offer is to plead guilty to five counts charging you with conspiracy to kill nationals of the United States, conspiracy to murder, kidnap and maim at places outside of the United States, conspiracy to murder, conspiracy to destroy buildings and property of the United States, and conspiracy to destroy national-defense utilities of the United States. Do you understand that pursuant to the relevant statutes, conviction on those five counts would subject you to a total maximum sentence of incarceration of life imprisonment plus any term of years. Do you understand that you would be subject to that potential sentence? of supervised release of five years on Counts One, Two, Three and Five and three years’ supervised release on Count Six? Do you understand that? With Ali Mohamed’s plea, the curtain fell on the career of one of world history’s most audacious and accomplished spies. But the story was far from over. Having failed, before the fact, to extract from Mohamed the details of the embassy bombing plot he had planned and helped to supervise, Patrick Fitzgerald and his Southern District colleagues now had the potential of exposing hundreds of al Qaeda agents who had burrowed into the U.S.—many with Ali’s own help. In his 1999 confession to Egyptian authorities, Ali’s Santa Clara protégé Khalid Dahab had admitted that he and Mohamed had recruited at least ten sleepers in Santa Clara alone. Now, after Ali’s deal with the Feds, the question was just how many other al Qaeda agents there were in this country and when he would give them up. So far, the evidence suggests that he hasn’t. As this investigation has revealed for the first time, almost six years after entering that guilty plea, Ali Mohamed has yet to be sentenced. His own wife, Linda Sanchez, told me that directly, and it was confirmed by Jack Cloonan (at right). Yet we can say for certain that even today, as he remains in witness protection somewhere in the New York area, Ali Mohamed has never fully betrayed Dr. Ayman al-Zawahiri, Osama bin Laden, or the jihad which he was willing to kill for. How do we know this? Because if Ali had ever given the Feds the name or location of a single one of those sleepers, they would have been arrested or indicted by now. But in the high-stakes poker game between captured terrorist and an FBI anxious for him to sell out in return for leniency, Ali Mohamed got much more than he was ever willing to give. As the Embassy bombing trial approached, would Ali Mohamed, the Feds’ star witness, take the stand? Some senior reporters who covered the Justice Department suggested he would. But, as always, Ali Mohamed possessed an infinite capacity for surprise. We certainly know more of it now. The Ali Mohamed story offers a stunning illustration of how often the FBI and DOJ dropped the ball in underestimating the al Qaeda threat. The findings of the Able Danger team underscored the connections between al Qaeda’s leadership and the Yousef/Rahman New York cell, and reinforced evidence disclosed by the Justice Department’s own inspector general that the Feds should have had plenty of advance warning about the presence in the U.S. of key hijackers like al-Midhar and al-Hazmi in early 2000, more than a year and a half before the 9/11 attacks. But on September 18, 2006, the inspector general for the Department of Defense decided to tell the Able Danger story another way. In a heavily redacted ninety-page report, the IG rejected claims by Lt. Col. Anthony Shaffer, Navy Capt. Scott Phillpott, and former Cong. Curt Weldon that the Able Danger unit had tracked those two muscle hijackers, along with Marwan al-Shehhi and Mohammed Atta, prior to 9/11. Though the names of most witness were redacted, it’s clear that the DOD IG’s office conducted multiple interviews with Shaffer, Phillpott, and Dr. Ellen Preisser, who worked on the Able Danger team at LIWA and Garland, Texas. While each of them repeatedly insisted they had seen Atta’s photo and/or name in the early Able Danger data harvest, the IG’s investigators seemed bent on impeaching their accounts. Potentially the most damaging allegation, singled out in the coverage of the IG’s report in the Washington Post, had to do with Phillpott’s allegedly varying accounts of Atta’s picture. “If you read that Post story, it makes it seem like Scott lied,” says Mike Kasper, a computer programmer who runs www.abledangerblog.com a website dedicated to the scandal. “But when you study the report, you can see that Capt. Phillpott never denied seeing Atta’s picture. It’s also clear that, in attempting to impeach Capt. Phillpott, the IG relied heavily on the word of Dietrich Snell, the 9/11 Commission senior counsel, who found Phillpott’s account of the Able Danger findings “not sufficiently reliable to warrant revision of the [Commission] report or further investigation.” That was Snell’s conclusion following a July 12,2004, meeting with Phillpott ten days before the Commission’s “final report” was to go to press. We considered Mr. Snell’s negative assessment of Capt. Phillpott’s claims particularly persuasive given Mr. Snell’s knowledge and background in antiterrorist efforts involving al Qaeda. Mr. Snell considered Capt. Phillpott’s recollection with respect to Able Danger’s identification of Mohammed Atta inaccurate because it was ‘one hundred per cent inconsistent with everything we knew about Mohammed Atta and his colleagues at the time.’ Mr. Snell went on to describe his knowledge of Mohammed Atta’s overseas travel and associations before 9/11 noting the “utter absence of any information suggesting any kind of a tie between Atta and anyone located in this country during the first half of the year 2000,’ when Able Danger had allegedly identified him. There’s further evidence to assess the credibility of the IG’s report. It documents expenditure of upwards of $1 million to fund the Able Danger operation when it moved from LIWA at Fort Belvoir, Virginia, to Garland, Texas, in the summer of 2000. The first appropriation signed off on by SOCOM was for $750,000; then, that fall, General Pete Schoomaker, the chief of SOCOM, was encouraged enough by the hits the team was getting that he approved another quarter million for an additional month. Yet the IG’s report characterizes the data mining operation as little more than “a proof of concept for data mining,” lacking in any significant intelligence results. Perhaps the most insidious aspect of the DOD Report was its characterization of Lt. Col. Anthony Shaffer as “basically the delivery boy” for DIA on the Able Danger project. Shaffer was also described in the report as “minimally qualified” at HUMINT (human intelligence). Yet a cursory examination of Shaffer’s service record shows that he spent more than twenty-two years of his army career as a human intelligence officer. His decorations for HUMINT work include the Joint Commendation Medal, the Defense Meritorious Service Medal, and the Bronze Star. From 1993 to 1995 Shaffer was actually the chief of army controlled HUMINT operations—in effect, the army’s top human intelligence officer. In his civilian capacity Shaffer was selected as part of the Exceptional Intelligence Professional Program in 1998 for promotion to GS-14 by Lt. Gen. Patrick Huges, director of the Defense Intelligence Agency. Only ten intelligence operatives out of a pool of ten thousand were selected for this highly competitive program. 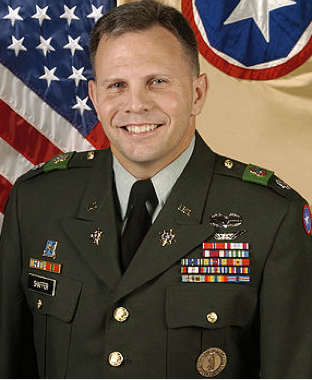 Another important measure of Shaffer’s credibility is the fact that, in the midst of the Able Danger scandal, he was promoted from major to lieutenant colonel by the army; he remains on active duty today. The inspector general’s report also denied that anyone in the Pentagon took retaliatory action against Shaffer, but Weldon said, “The I.G. never interviewed Wolf Blitzer [of CNN] or Brian Bennett [of Time] who both called my staff and said that DOD officials were spreading personal rumors about Shaffer to discredit him.” The report was supposed to include a full investigation of the three petty charges against Shaffer. But twenty-five pages on that issue, constituting more than one quarter of the report, have been entirely redacted or blacked out. 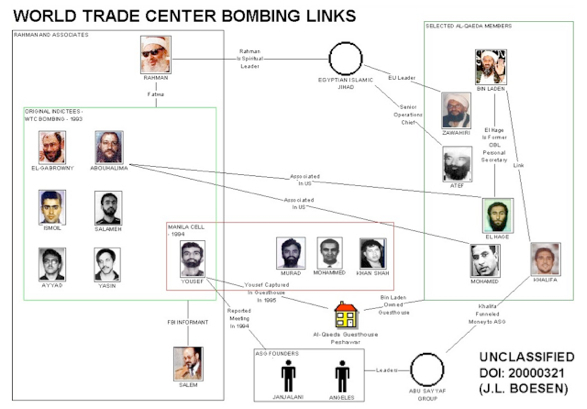 In support of Weldon’s charge that the IG’s investigators “cherry picked” evidence, the report seizes on a link chart entitled “The Al-Qaeda Network: Snapshots of Typical Operational Cells Associated with UBL,” concluding that this was the chart that Shaffer and Phillpott had referred to as containing a picture of Mohammed Atta. On that issue, the report also claims that the destruction of the 2.5 terabytes of data “was carried out to comply with the ninety day limit imposed by DOD 5240.1-R [the Pentagon’s embodiment of Executive Order 12333]. But the report doesn’t contain a word about the two key “U.S. Person” exceptions to EO 12333 for open source and terrorism-related data. NOTE: these chapters are annotated with more than 100 end notes in the hardcover and paperback editions of TRIPLE CROSS. Editorial post-script: If re-elected in 2006, Cong. Curt Weldon was in line to become the Chairman of the House Armed Services Committee. On October 13th, 2006, while facing the first serious challenge to his congressional seat in years, word leaked to the media that Cong. Weldon, a Republican, was being investigated by the Bush Justice Department probing whether Weldon had traded his political influence for lucrative lobbying and consulting contracts for his daughter Karen. Three days later, FBI agents raided Karen’s home and five other locations of Weldon associates in Pennsylvania and Florida. Two days after that, the Washington Post reported that a grand jury had been impaneled as part of the investigation. In the November election, a few weeks later, Weldon was defeated by former navy Admiral Joe Sestak who is now running for the Pennsylvania U.S. Senate Seat of Arlen Specter whom Sestak defeated in the Democratic primary of 2010. On July 17, 2007, The Washington Post reported that, as of Spring 2007, federal investigators were continuing to examine Weldon’s official actions taken on behalf of his daughter Karen’s lobbying clients. The same article noted that Weldon had spent at least $30,000 in legal fees and related investigatory expenses as a result of the probe. In December 2007, a former Weldon aide pleaded guilty for failing to report $19,000 in income that his wife made for doing work for a nonprofit company tied to Weldon.